A&B Roofing LLP is a preferred contractor with Owens Corning. With this program you know you're getting the best products that Owens Corning are known for and the strict roofing requirements Owens Corning demands of all of their contractors. In addition to the high standards that you expect from Owens Corning you also get the manufacturer- backed warranty that is number one in the roofing industry. We warranty all of our asphalt roofs for a minimum of 50 years. With A&B Roofing LLP you know you're getting the whole package and a worry-free experience. There are many subdivisions that require natural products on their roofs and what better product to use than cedar? It is natural, beautiful and, when installed and cared for properly, will last for 25 or more years. 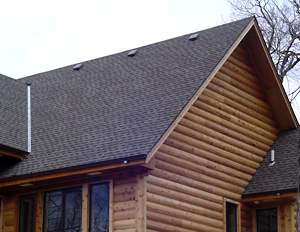 Did you know there are different grades of cedar shakes and shingles? We use only the highest grade of western red cedar. We use Number 1 Grade Certi-Split Shakes and Number 1 Grade Blue Label Certigrade Shingles, with pre-treated products available for both. These cedar products are hand picked at the mill for clean flat grain and inspected after they're sawn so you know you are getting the cleanest, straightest cedar product possible. 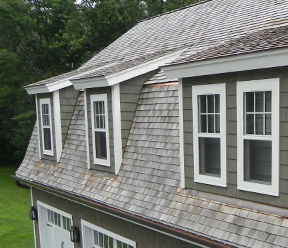 A&B Roofing LLP also abides by the Cedar Shingle and Shake Bureau (CSSB) standards so you know your roof is installed with the highest of craftsmanship. Metal roofs are becoming ever more popular with longer warranties and recycled materials being used. Metal is environmentally friendly with lower maintenance costs and increased energy efficiency. 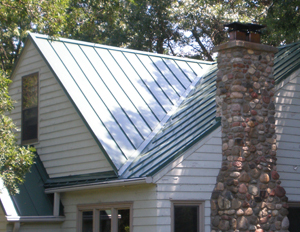 A&B Roofing LLP has a factory-trained staff with American Construction Metals (ACM) in Beloit, WI. ACM offers a full line of metal products with a wide variety of colors and styles to choose from. We offer custom bent pieces with every piece shipped directly from the factory to the jobsite. With our line of metal products coming directly from the factory, you know you're getting the best products at the absolute lowest price. 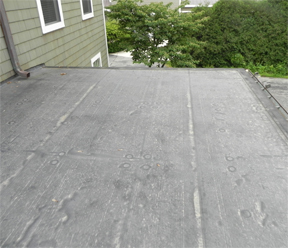 A&B Roofing LLP offers an EPDM line of rubber roofs for your flat roofing needs. From garage roofs to your porch and sun-room needs. We install a thick .060 mil rubber membrane over a layer of ½ inch installation with a neat and clean trim to make it flow with the rest of your house. A&B Roofing LLP furnishes and installs a full line of seamless gutter systems with every piece custom bent to fit your house. We also offer a wide variety of gutter guards to fit your specific needs and budget. Copyright © 2015-2019 A&B Roofing, LLP All Rights Reserved.